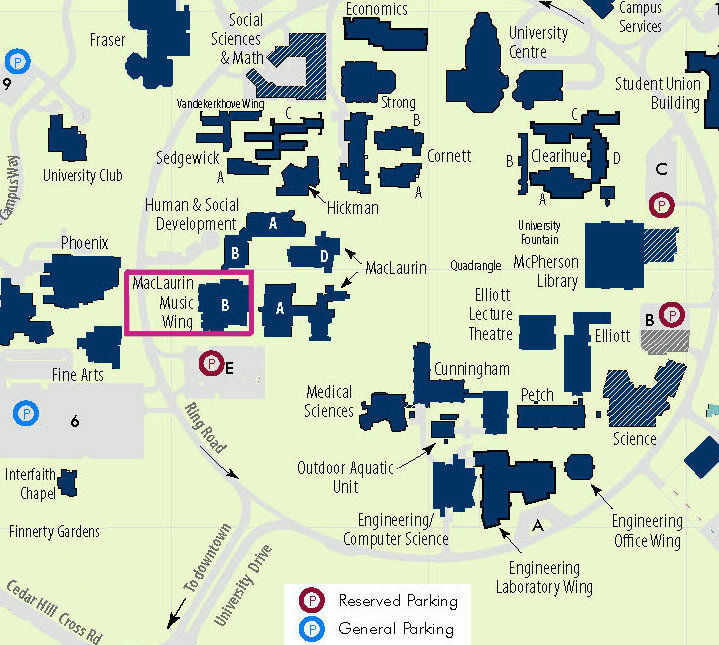 We are typically holding class in room MacLaurin B016 (or occasionally in MacLaurin A169). The MacLaurin Buildings are found by Parking Lot "E". You can reach the class easily from downtown by bus.